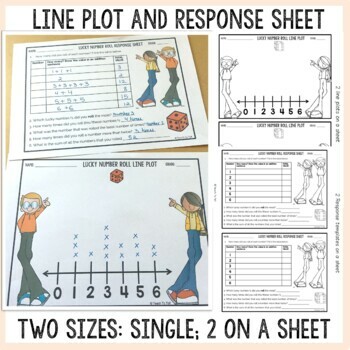 This is a basic starter interactive activity to introduce recording data on a line plot. A six-sided die is rolled 15 times and numbers are recorded. 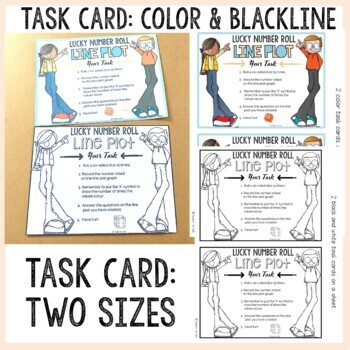 A task card interprets data collected. Sample answer provided. 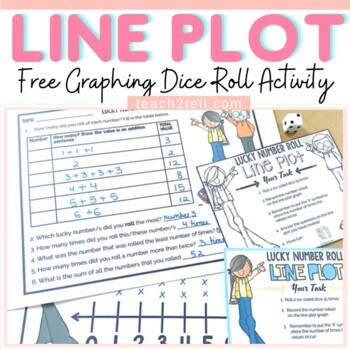 You might be interested in this 62 pages LINE PLOT INTERACTIVE pack that covers all key mathematical concepts and strategies to collate and display data in fractions of a unit using interactive materials like visual cards, dice, spinners and real-life data. This unit is aligned with the Common Core Standards 4.MD.B4 and 5.MD.B2 that outlines displaying a data set of measurements in fractions of a unit (1/2, 1/4, 1/8) and solving problems involving addition and subtraction of fractions by using information presented in line plots. Better still this 127 pages 'Line Plots and Line Graphs Ultimate' collection has highly visual interactive activities to collate, record and interpret data in line graphs and line plots. All rights reserved by author. 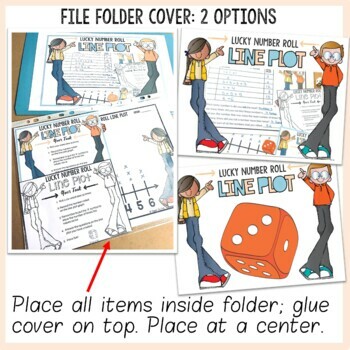 Permission to copy for single classroom use only. Electronic distribution limited to single classroom use only. Not for public display.